Sink into the world of real adventures. As you know jungles are mostly very dangerous, that is why be ready to avoid it and collect all bonuses and coins. Do you think it is so easy? Well, then show it to us! We wish you good luck here! 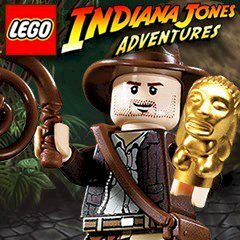 You must help Indiana Jones to survive in this exciting challenge. Have you ever dream about it? Just imagine that you are alone here and everything is up to you! It is quite easy to play, just click on different objects and obstacles, and the lego hero will know what to do! In this game be ready to use all your skills and abilities. Just imagine that this jungle has a big riddle and you are the only one, who can solve it. We wish you good luck and prove anyone that you are the best here. Do everything to vanquish this game.